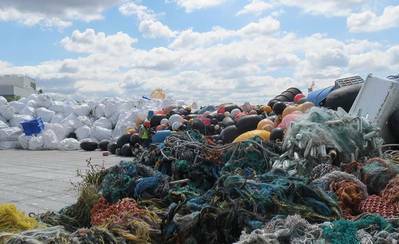 Nearly $2.2 million in fiscal year 2017 funding through the National Oceanic and Atmospheric Administration (NOAA) Marine Debris Program will support 15 new marine debris removal and research projects. Four groups received a total of $935,156 for research to advance understanding of how microplastics interact with seafood species. Projects awarded through this grant competition will improve our understanding of the ecological risks associated with marine debris as well as the fate and transport of marine debris in nearshore, coastal environments. Arizona State University ($195,837) will use a risk assessment framework to quantify microplastics (plastic pieces <5mm in size) in water, sediment and bivalves at three sites in American Samoa, and assess the types and concentrations of organic contaminants in those microplastics. The University of Connecticut ($257,531) will identify what effects microplastic consumption has on oysters, what types of microplastics are most likely to be consumed by oysters, and increase understanding of how microplastics are impacting marine resources. University of North Carolina at Wilmington ($289,098) will assess if black sea bass consume contaminated microplastics and if microplastics are being transferred between prey and predator species. Woods Hole Oceanographic Institution ($192,690) will assess the role of seasonal phytoplankton blooms in increasing the availability of microplastics for sea scallop consumption, and if microplastics serve as means of transferring dangerous bacterial pathogens to scallops. In addition, 11 groups received a total of $1,238,358 to support marine debris removal projects to benefit coastal habitats, waterways and wildlife, including migratory fish. Projects awarded through this grant competition will implement locally effective activities to remove marine debris, including derelict fishing gear and abandoned and derelict vessels. Projects will provide benefits to coastal communities, and create long-term ecological habitat improvements for NOAA trust resources. The Camden County Municipal Utilities Authority ($67,000) will remove approximately 20 tons of marine debris, largely in the form of concrete rubble, from the shoreline and surrounding waters of an industrial waste site in the City of Camden, N.J. The removal is key for converting the site into a public park and restoring coastal habitat. Cleveland Metroparks ($108,100) will remove 6,250 tons of concrete slabs and metal from Euclid Beach Park on the shores of Lake Erie. They will also be conducting at least 10 volunteer beach cleanups each year of the project and creating an educational display to help the public understand the effects of plastic pollution in Lake Erie. Conserve Wildlife Foundation of New Jersey, Inc. ($149,260) will survey, map and remove derelict crab pots in New Jersey’s southern coastal bays, building off of the success and lessons learned from a previously-funded NOAA Marine Debris Program grant. The Cornell Cooperative Extension Association of Suffolk County ($120,000) will continue their successful and long-running efforts to remove and quantify the extent and distribution of derelict lobster gear in the New York and Connecticut waters of Long Island Sound. Working with commercial lobstermen, the project will remove over 100 metric tons of derelict gear debris. The County of Prince George ($150,000) will install two floating litter traps in the Anacostia River in Maryland to reduce the debris loads flowing downstream towards the Potomac River and eventually the Chesapeake Bay. The County will also monitor the effectiveness of this removal approach, and increase public awareness of marine debris through local outreach and education programs. Island Trails Network ($71,479) will work with an estimated 200 community volunteers and students to remove 8-12 tons from an 80-mile stretch of coastline, totaling about 28 linear miles, on northeastern Kodiak Island, Alaska. This funding allows ITN to build off of previous community-based removal efforts on neighboring Tugidak and Shuyak Islands. The Makah Indian Tribe of the Makah Indian Reservation ($150,000) will remove three derelict fishing vessels from Neah Bay, Wash., in order to prevent pollution, increase economic opportunities for commercial and recreational vessels, and fulfill tribal responsibilities with respect to managing resources and protecting tribal waters. Mobile Baykeeper Inc. ($56,013) will conduct an initial debris assessment, hold extensive debris removal cleanups, and monitor One Mile Creek, in Mobile, Ala. They will also work to increase awareness about the issue with a campaign targeted towards the City of Mobile’s Mardi Gras celebration and will install temporary storm drain debris barriers during Mardi Gras in 2017 and 2018 to reduce debris entering the waterways. North Carolina Coastal Federation Inc. ($64,474) will remove 250 cubic meters of aquaculture debris from 30 acres of sensitive coastal habitats near Harkers Island, N.C. In addition, they will develop a set of best management practices for prevention, removal and disposal of aquaculture debris to help prevent future generations of debris from aquaculture activities. Pacific Coastal Research and Planning ($250,000) will work with a contractor to remove an 83 foot derelict fishing vessel that is grounded in and damaging sensitive coral reef habitat in the Port of Saipan of the Northern Mariana Islands. A local media campaign will be used to highlight the removal project to the public and share ways to prevent marine debris in the future, such as proper storm preparation. Save Our Shores ($52,032) will organize volunteer cleanups both from land and water to remove a minimum of seven tons of debris from three waterways leading into the Monterey Bay National Marine Sanctuary in Monterey, Calif. Additionally, they will conduct education programs in schools and outreach with communities adjacent to their target waterways to raise awareness of the issue and the threat it poses to the sanctuary. These projects were selected through a rigorous and highly competitive merit review process. NOAA's Marine Debris Program received 70 proposals in 2017, requesting more than $12 million, demonstrating the widespread interest in the marine debris issue across the nation. The funded projects cover 11 states, American Samoa and the Commonwealth of the Northern Marianas Islands. The NOAA funds are being matched with non-federal contributions totaling $1.9 million.